UNITED NATIONS, April 9. /TASS/. 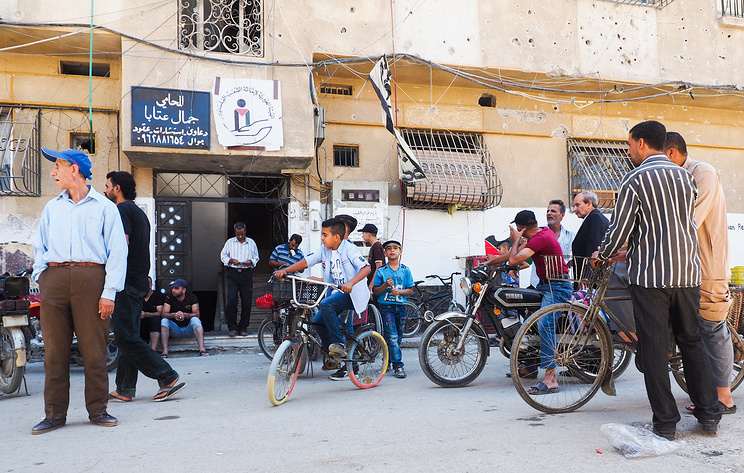 More than 177,000 Syrian refugees have returned to their homes with the assistance of Moscow and Damascus since July 2018, Russia’s UN Ambassador Vasily Nebenzya said at a meeting on refugees at the UN Security Council on Tuesday. “In the summer of 2018, Russia came out with the initiative to assist in voluntary return of Syrian refugees to their homeland,” Nebenzya said. “We are witnessing a stable pace in this process. About 1,000 people are getting into Syria on a daily basis, mainly from Lebanon and Jordan,” the diplomat added. “Overall, more than 177,000 people have returned to the country since July 2018,” he noted. United Nations High Commissioner for Refugees Filippo Grandi, for his part, said that most of more than six million Syrian refugees wanted to return home. However, some of them are still afraid of returning at the moment, he added. Hey Buddy!, I found this information for you: "More than 177,000 Syrian refugees have returned home since June 2018 — Russian envoy". Here is the website link: https://russophile.org/more-than-177000-syrian-refugees-have-returned-home-since-june-2018-russian-envoy/. Thank you.